Bungie's Halo follow-up could see a PC release, to complement its newly-announced PlayStation 4, Xbox 360 and Xbox One incarnations. In a newly published interview with IGN, Bungie senior writer Eric Osborne offered a non-committal response to the idea that Destiny, the firm's first non-Halo title in years, might not be exclusive to consoles. 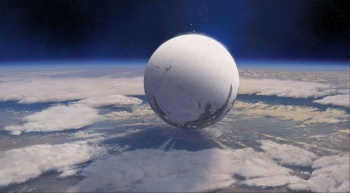 "We haven't said yes [to a PC port of Destiny], and we haven't said no," Osborne states. "The more platforms we take on, the more work it ultimately becomes, and what we don't want is to compromise the core experience on any platforms. We have a lot of people who play on PCs. We have a lot of appetite to build that experience. We haven't announced it yet, but we're looking forward to talking more about that kind of stuff in the future." Vague? Check. Coy? Check. Overall, that's a very typical non-answer, but it does provide a glimmer of hope that Destiny will hit PCs at some point. Slightly less ambiguous however, is Osborne's response to IGN's question about transferring game saves from one platform to another. In sum, Bungie likes the idea and could make it happen if players really want such a feature, but there are technological hurdles to be overcome. "Any data on our back-end servers and services, like Bungie.net, are ours. We control it, we can do a bunch of fun stuff on that side. So for us, we want to absolutely do the right things for players. But there are some complexities we have to solve that are outside our control," Osborne states. "But we're absolutely pushing to solve some of those things." On a related note, Bungie announced this morning that Destiny will receive an official reveal on June 10 as part of Sony's E3 press conference. Expect a deluge of info on what Destiny will eventually look like to come spilling out of Bungie at that time (and possibly a few days before, as the internet is nothing if not frighteningly curious).